Check out Andrew Yoder’s new pirate radio blog with its deceptively simple title, the Hobby Broadcasting blog. Andrew is the author of the Pirate Radio Annual and a guru on shortwave pirate radio. His blog is still relatively new, but he has already posted several station loggings and QSLs. He’s even logged some Halloween stations, as Halloween began last night in Universal Time. Like Andrew, listen for pirate radio stations today! Turn on your radio anytime today, but especially around twilight and tune between 6,920 – 6,980 kHz. Pirates broadcast on both AM and SSB; you’re bound to hear a few. This entry was posted in News, Pirate Radio, Shortwave Radio and tagged Andrew Yoder, Halloween, Hobby Broadcasting blog, Pirate Radio, Pirate Radio Annual on October 31, 2013 by Thomas. 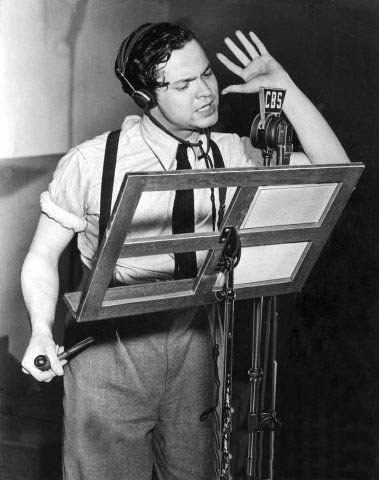 The Welles’ production of The War of the Worlds invariably receives a side note or breakout in US history texts because of the unprecedented panic it incited in unsuspecting radio listeners during the tense period just prior to World War II, when radio was truly king of mass media and information. Listeners reportedly took to the streets upon hearing the Mercury Theatre’s seemingly credible “accounts” of monsters from Mars invading New Jersey. Because many listeners tuned in the production without hearing the Welles’ introduction to the drama, they heard what sounded like a live news report of Martians attacking our planet. While it seems dubious today, what made Welles’ production so convincing was his innovative use of mock news breaks, and what listeners described as a “deafening” silence after a supposed “eyewitness report.” It sounded, in short, terribly authentic, and therefore convincing. Few believe Welles was intentionally trying to trick his audience; rather, sources suggest he was attempting to treat his listening audience by infusing what would have otherwise been a fairly staid radio drama with imagination, creating a captivating thriller. The result? By most accounts, Welles’ succeeded. Without doubt, The War of the Worlds propelled this young theatrical director into the public spotlight, onto the big screen, and made his name known the world over. Last night I had the pleasure of viewing a brilliant documentary about The War of the Worlds on PBS’s American Experience. It told, in detail, of the events leading up to the production, the very convincing reasons why it had the impact it did, and offered entertaining listener accounts from letters sent to CBS. If you missed it, you can watch it, too, by clicking here. I encourage you to read the full Slate article, however, as it goes into much greater detail supporting the author’s assertions, which I find both logical and compelling. But that’s not all. 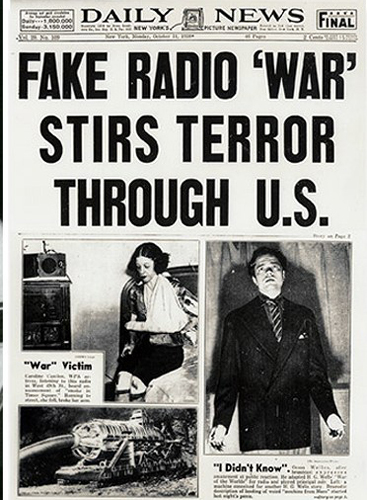 This afternoon, while writing this post, NPR published a new article about The War of the Worlds, highlighting the Slate piece and the American Experience and RadioLab productions, but drawing no conclusions of their own. Click here to read the full NPR post. Strangely, nothing I’ve read so far about The War of the Worlds mentions what I feel to be most obvious. So, what came of it? I believe Welles’ controversial radio production did something for radio listeners regardless of the level of panic it may––or may not––have engendered. Welles’ Halloween production left them (and us) with a gift. How so? In conclusion, perhaps we need another such event in this age of television and Internet. All too many people no longer question what they see, read, or hear from either source; these readers/viewers accept reporting of any stripe with blind faith, swallowing news bites and opinion pieces like digital candy. Then they tweet…and re-tweet. Indeed, this is a common complaint I hear from many shortwave radio listeners. I suspect this is because we, in contrast, tend to be motivated by hearing the many differing voices on the air and allowing our grey matter––our brains––to discern fact from fiction. We owe Welles a debt of gratitude. 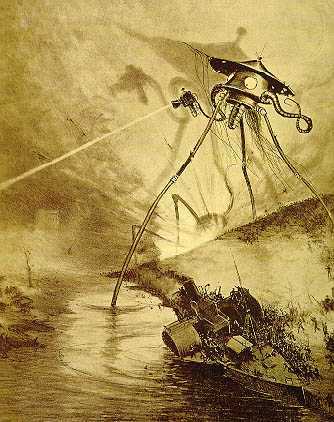 Regardless: whether Welles created widespread or merely local panic, or whether you even buy my theory that this production taught us to question what we hear, it’s difficult to deny that the Orson Welles’ production of The War of The Worlds was a brilliant, ground-breaking radio drama. And, I would add, great seasonal entertainment. Fortunately for us, almost 75 years later (nearly to the minute! ), we can listen to archived recordings of the original CBS production. If you would like to hear the original, simply click here to download the broadcast as an MP3, or listen via the embedded player below. This entry was posted in Broadcasters, News, Nostalgia, Radio History and tagged 75th anniversary war of the worlds, documentary, HG Wells, Nostalgia, Orson Welles, Orson Welles War Of the Worlds Recording, radio drama, Radio History, War of the Worlds on October 30, 2013 by Thomas. Neil Goldstein’s radio story is the latest in a new series called Listener Posts, where I will place all of your personal radio histories. If you would like to add your story to the mix, simply send your story by email! I developed a love for electronic things in general at a very young age. My folks had a huge problem with me taking phonographs apart to try to figure out how they worked. 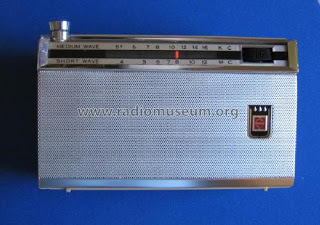 I remember my older brother Lee, starting a log of AM radio stations that he could receive, and getting a Wards Airline multiband radio that received Shortwave. 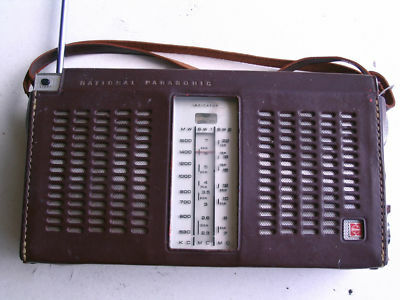 It was right about then (early 70’s) that I was given my first Shortwave radio. We had a family friend who lived nearby that had traveled the world. She referred to herself as The Baroness Charlotte Serneaux Gregori. She owned an import/export company in New York, and was an accomplished painter of abstract art. Her house was filled with things she had collected in her travels, and she found out that I was curious about Shortwave radio. She gave me a small National Panasonic AM/SW transistor radio. That hooked me. Many thanks, Neil, for sharing your story! Readers, be sure to check out Neil’s blogs: Fofio! and Radio Kit Guide. This entry was posted in Ham Radio, Listener Posts, SWLers and tagged Fofio, Listener Posts, Neil Goldstein, Radio Stories, Your Radio Story on October 30, 2013 by Thomas. Our QSL card has arrived, and are being sent out, but still reports are welcome! I didn’t get this tip in time to tune to the first broadcast (today, 6:15-09:00 UTC), but I hope some of you can try listening on 5,895 kHz between 15:30-17:30 UTC tomorrow (Thursday, Oct 31). 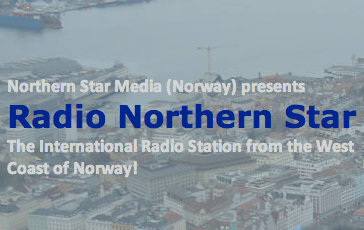 This entry was posted in Broadcasters, News, Schedules and Frequencies, What's On Shortwave and tagged Radio Northern Star, test transmissions on October 30, 2013 by Thomas. The BBC World Service Radio Archive (Prototype) contains over 50,000 digital recordings, spanning 45 years of the World Service; indeed, more than the BBC can tag and categorize by hand. Read below to learn how you can create a login with the archive, browse, listen to and tag recordings if you wish. BBC Research & Development is running an experiment with the BBC’s World Service radioarchive to demonstrate how to put large media archives online using a combination of algorithms and people. With your help we aim to comprehensively and accurately tag this collection of BBC programmes. This prototype website includes over 50,000 English-language radio programmes from the BBC World Service radio archive spanning the past 45 years, which have all been categorised by a machine. You can explore the archive, listen to the programmes and help improve it by validating and adding tags. Many thanks to Mike Barraclough for the tip! This entry was posted in AM, Broadcasters, News, Nostalgia and tagged Archives, BBC, BBC World Service, BBC World Service Radio Archive on October 28, 2013 by Thomas.